In the words of Ned Stark: “Winter is coming”. As the cold weather ushers in another season of picturesque, burnt orange landscapes, there’s no better soundtrack than singer-songwriter Luke Sital-Singh’s sepia acoustic strumming for a blustery autumnal day. ‘The Fire Inside’ comes off the back of a series of EPs (from which much of this album is taken), which led to a spot on this year’s BBC Sound of 2014 longlist. Yes, he’s another guitar-playing troubadour, but his music is so sumptuous, nostalgiac and delicately melancholic, he cannot fail for you. 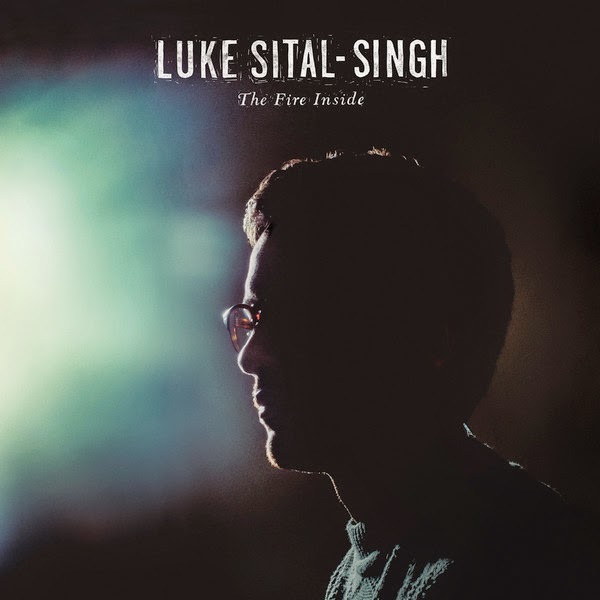 As you’d expect, Sital-Singh began as a solo acoustic artist, but ‘The Fire Inside’ sees him expanding his sound to a full band for many of the tracks. Yet far from the folky jigs of Mumford & Sons or the tear-soaked guitars of Bon Iver, the full band is merely an extension of his sound. More upbeat tracks like Greatest Lovers, Everything Is Making You, We Don’t Belong and breakthrough single Bottled Up Tight still retain his raw sound, tinged with melancholia. The stark live feel of the production only highlights this, all warm harmonies and shivering guitars. It’s the acoustic tracks that form the backbone to the album though. Fail For You is simply stunning as it slowly blooms and unfurls with vocal harmonies and its heartbreaking chorus lyric - “I bought you the sky and the oceans too…the only thing I didn’t do was fail for you”. At the core of the album is the tryptich of Lilywhite, Nearly Morning and I Have Been A Fire: the former centres on a piano riff that bares resemblance to Lana Del Rey’s Video Games; the second transports you to a frosty sunrise; the latter is a poignant and delicate depiction of a destructive relationship - “you were just a flower…gentle like a rose with charred and blackened toes”. It’s impossible not to fall for these songs, predominantly due to Sital-Singh’s vocals. Whether purring in a soft falsetto or a gut-wrenching outpouring of emotion, it’s a powerful voice of anguish and vulnerability. Forget the boring and derivative Tom Odell, or the similarly Brit Award loved Ben Howard - Luke Sital-Singh is the best singer-songwriter since Damien Rice. Listen: 'The Fire Inside' is available now.